In order to connect to the Remote Desktop Service using an Apple Mac computer you will need to download the free Microsoft Remote Desktop app from the app store. The click the icon below for the store page. 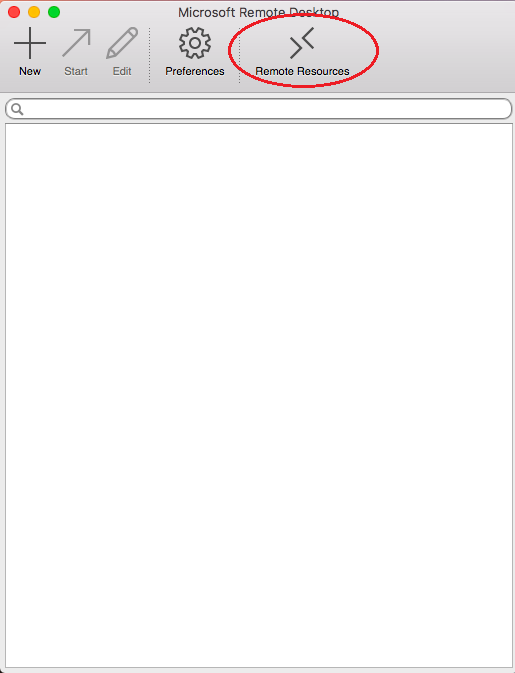 Click on the Remote Resources button from the menu bar. A new window will open. Then click the "Refresh" button and close the window . 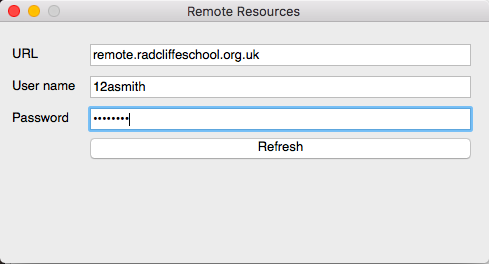 If you double click the "Student Full Desktop" icon you will be connected to the Remote Desktop System. 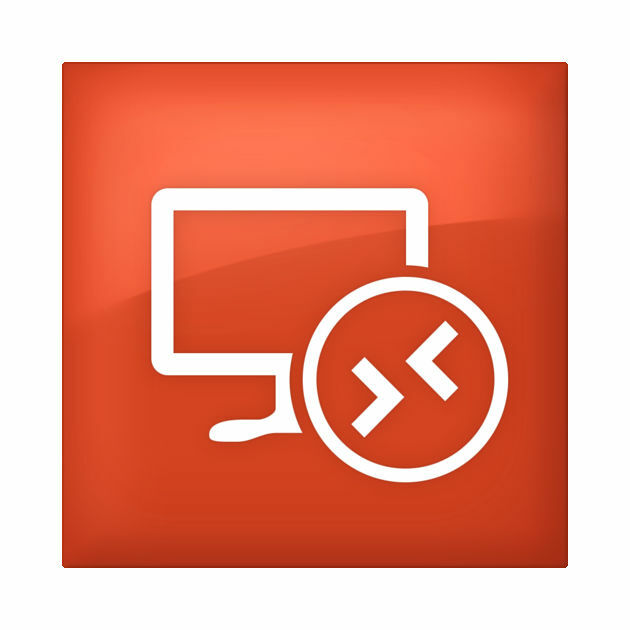 If the new item has not been added try closing the Remote Desktop app and then re-opening.